After a sometimes-arduous process which included the embarrassing cancellation of an attempt to modernise the Kaman SH-2G(A) Super Seasprite for the role, Australia has chosen to purchase 24 Sikorsky/Lockheed-Martin MH-60R helicopters as its next naval rotary-wing platform. The multi-mission 'Romeo' will take on the role intended for the Super Seasprites in fulfilling Australia’s AIR 9000 Phase 8 requirement, to operate from its Anzac-class frigates and replacing 16 Sikorsky S-70B-2 Seahawks as the Royal Australian Navy's anti-submarine warfare helicopter. Equipped with a mind-boggling array of modern sensors and weapons including the advanced AN/ASQ-22 dipping sonar (which has been likened to being an "underwater AEGIS"), AN/APS-147 multi-mode radar and capable of being armed with the Mk-54 air-launched torpedo and AGM-114 Hellfire missiles for anti-submarine and anti-surface warfare respectively, the two dozen-strong fleet will allow the RAN to keep eight ships equipped with a helicopter at any one time. The value of the order is estimated at AU$3 billion ($3.15 billion), and will be processed through Foreign Military Sales (FMS) channels, managed by the U.S. Navy. 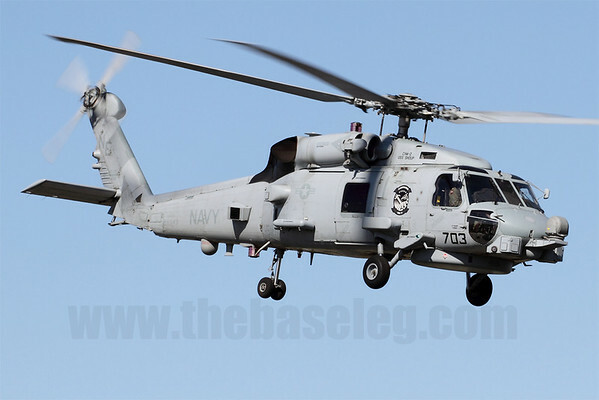 The RAN is expected to take delivery of the first two MH-60R helicopters in 2014. The MH-60R has beaten off competition from the NH Industries NH90-based NFH (NATO Frigate Helicopter), which would have offered significant commonality with the MRH90 battlefield transport helicopters being delivered to the Australian army. Despite this, problems with the Army's MRH90s that recently saw it narrowly avoid being put on the Defence Department's dreaded Projects of Concern list might have done a lot to derail the NFH's bid. That, combined with questions of how its composite airframe would react in a saltwater environment, swung the tide in favour of the more mature Sikorsky/Lockheed-Martin product.